Ah! You have come at last. I almost lost hope of you ever coming by this way. Oh! Don’t be afraid. I am a harmless creature, just your guide into the forest of Arcadia. 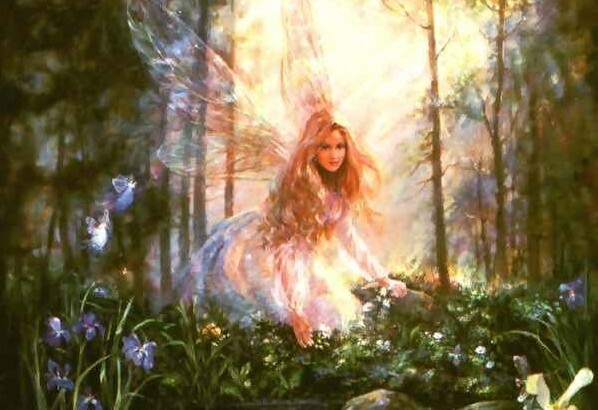 In forest, hidden away in a forgotten corner of the world, you would find the world of fairies, of every fantastical creature both within and beyond the bounds of imagination. In here you would find creatures pure in thoughts and others vicious in action. 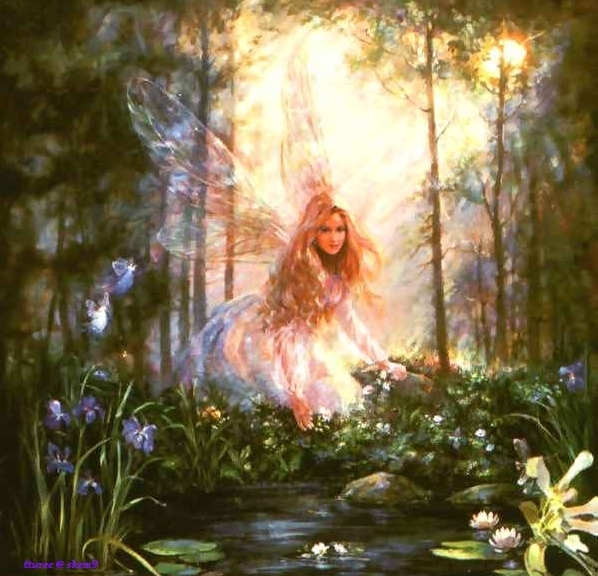 There goes a pixie, flitting away between the branches. What a beautiful creature, a burst of colors which can make the stoutest pessimist smile. Yet the innocence of their childlike faces do not match them in their actions. Do you hear her giggle farther away? Maybe she giggles with anticipation of the gossip she has to share with her fellow mates. So be careful of these slippery creatures. One minute they will be your best of friends, unburying your deepest secrets one by one through their innocent seeming guiles. The other, they will be hawking your secrets for everyone to know, judge and ridicule. Don’t be so shocked. For you see, these little gossip mongers are just like you and your kind. Indeed, they are just like humans. Oh! Shhh…listen carefully. Do you hear the pitter-patter of tiny little feet? They are the little elves. These creatures with pointed ears and fragile little bodies are the hard-workers of this world. They work day and night, night and day. How unfortunate it is, that the naivete of these poor creatures make them prey of the stronger and the cleverer of the beings. They are used slavishly and denied a single kindly word. Ah! You see, they too are like some of your kind, who are forever downtrodden, whose daily toils go unnoticed, unappreciated and unrewarded. Now be careful. Hide here with me till they pass. Ah! They are gone at last. Their guffaws still echoes through here. They are probably laughing at their latest exploit, some poor soul they entrapped in their honey-tongued promises. They are the goblins, vicious and ruthless. Ugly in face and ugly in deeds. Don’t let the wart filled face fool you into feeling more powerful than them. They are cunning, these goblins. They trap you; they manipulate you by their sweet tongued assurances, gently leading to your destruction. Their joy lies in others misery. I see you recoil in revulsion, but they are the same as you and your kind—finding joy in others downfall; entrapping others in hone-laced promises never to be fulfilled. Now we come into a clearing. Isn’t it beautiful in here? See the sunlight shining through the web of branches. But now see there, that little burnt patch of grass, that there is a remnant of a ritual of a druid, a wizard or a witch. They are beings, intelligent and wise. They will be your friends and helpers if you sing their praises, putting them on the highest pedestal. But beware of them if insult them in any way either perceived or real. The consequences of such an insult will be harsh and cruel. For you see, these masters and mistresses of spells and potions and all things magical, are proud creatures indeed. Yet another in this world of ours is as proud of their skills as these magicians. These are the dwarfs. You see those mountains looming just beyond the forest? It is where they reside. They are the blacksmiths of this world, crafting the weapons in their workshops within the caves and tunnels of the mountains. They control the metal and earthly elements, hence are in possession of riches unimagined of. Don’t let greed sway you, for stealing their wealth will kill you. Pride and selfishness—aren’t these shared by both are worlds. Oh! Don’t go now. There are many more creatures of this fairyland still to be introduced. There are the two-faced night creatures—charming companions by day, depraved and savage by night. Then there are the giants and the trolls, huge beings, unmindful and uncaring of the destruction they leave behind for the smaller inhabitants. You are yet to meet the satyrs. These are goat like humanoid creatures. They may help you or destroy you. Satyrs are creatures of primal emotions. There too are the nymphs, creatures of trees and water. Their entrancing ethereal beauty leads you to your doom. Oh! Wait now. Don’t run away. Don’t be afraid, for this is the forest of Arcadia, filled with fantastical creatures. They are pure and vicious, friendly and cunning too. They are both good and bad. They are different from you in shape and size, yet not so different in nature. Indeed, not so different at all. Maxine is an undergraduate from Delhi studying her English Honors. She is an aspiring writer who looks forward on writing something one day which would last through ages. She is also a compulsive bibliophile.